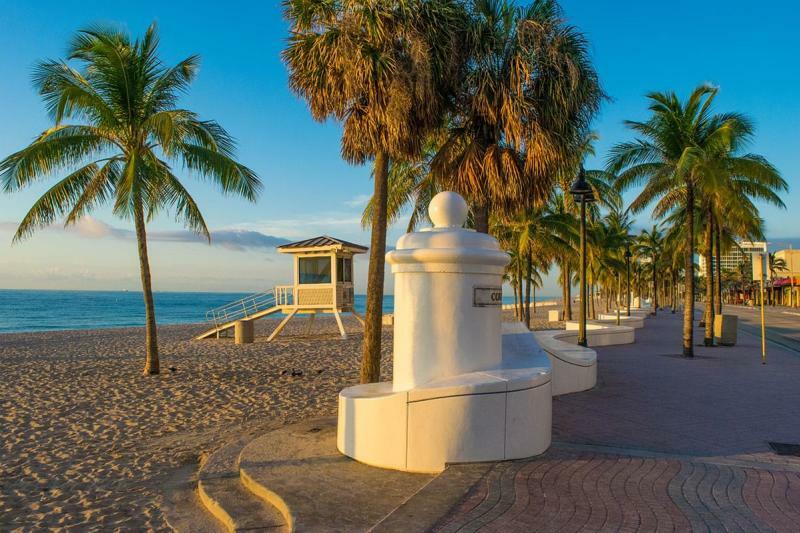 Once a spring break getaway for voracious college students, East Fort Lauderdale has since transformed into a bustling resort destination for yacht enthusiasts and nautical recreationists. Port Everglades, the third busiest cruise port in the country, is a prominent feature of its coast, and its entrenched boating community draws over 125,000 visitors annually to the world’s largest boat show, the Fort Lauderdale International Boat Show. As the home of the Florida Everglades, East Fort Lauderdale boasts many services dedicated to transporting curious visitors between Fort Lauderdale beach and the wetlands. With an endless buffet of entertainment opportunities, East Fort Lauderdale is the perfect playhouse for partygoers of all ages in the Miami metropolitan area. Grab a quick bite to eat before a shopping trip or a romantic endeavor on the beach – East Fort Lauderdale’s dining scene has it all! The upscale and unique atmosphere at its beloved restaurants will provide the perfect backdrop to whatever your night has in store. Bistro Mezzaluna: Bistro Mezzaluna’s world class dining experience includes a new piano bar, a private patio, and a wine cellar to choose from. Reserve a night for two or an entire banquet hall of guests to experience their delicious shrimp scampi or 14 oz. New York Strip. Visit for a chance to enjoy head Chef Brian’s appetizing creations to the smooth sounds of jazz and dinner music from the in-house pianist. Seasons 52: For the casually sophisticated, Seasons 52 has a range of healthy, seasonal options. For less than 475 calories, visitors can enjoy traditionally tasty dishes like crab cakes and shrimp scampi without sacrificing flavor! Don’t forget to take advantage of the international wine and beer bar to pair with your favorite American dishes. Casa D’Angelo: For authentic Italian food and history, look no further than Casa D’Angelo. Visitors say its penne con vodka and gnocchi al mama are best paired with the restaurant’s top-tier service and extensive wine menu. If you’re lucky, you might come across a server ready to thrill you with stories and tales from “the old country” as you enjoy your meal. OCEAN2000: Nested comfortably in the The Pelican Grand Beach Resort, OCEAN2000 borrows from its local flavors and palates for its regionally-influenced menu. Expect a little “Latin spice” in the Lobster BLT – but don’t worry, you can wash it down your favorite pick of the wine menu. Even better than the treats is the gorgeous view from the restaurant’s ocean-facing patio. Coconuts: Coconuts’ cheeky, relaxed atmosphere comes across best on its menu, where it rounds up the “Usual Suspects” (jambalaya, crab cakes) and “Hand Helds” (lobster rolls, fish tacos) into one enticing dining experience. Can’t decide where to start? 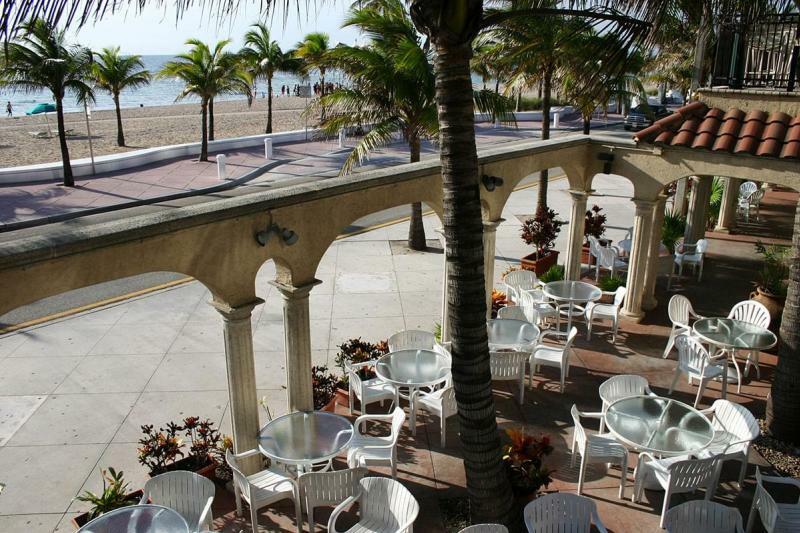 Ask for the daily specials instead, and definitely don’t miss the chance to relax on their ocean-front patio. Fort Lauderdale Beach: Make no mistake, the beautiful Fort Lauderdale Beach is a must-see for any travelers. Families will enjoy its clean sand and safe environment maintained by the daily beach cleaners and lifeguards. Enjoy a day of fun in the sun or explore the nearby nature trails with a quick hike. Access to Fort Lauderdale Beach is free. The Downtown Hollywood Mural Project: Easily the largest walkable mural project in Broward County, the Downtown Hollywood Mural Project invites contemporary artists to develop custom murals at key locations in downtown Hollywood. Visitors can sign up for the weekly Art Walk to discover new muralists hard at work anywhere within the city. The tour is free. Bonnet House Museums & Gardens: History and modernism meet on this guided tour of “Old Florida.” The 35 acres of scenery that comprises the Bonnet House Museums & Gardens depict 20th century Florida through the eyes of the Bartlett family. Visitors exploring the gardens may catch a glimpse of the grounds’ native wildlife, including monkeys and swans. Admission is $20 for adults, $16 for students, and free for children under the age of 6. Las Olas Cruise & Food Tour: Travel down the “Rodeo Drive of Fort Lauderdale” with this guided food tour of Las Olas Boulevard. Discover the history of Fort Lauderdale through its curation of international cuisine in six of East Fort Lauderdale’s upscale restaurants. 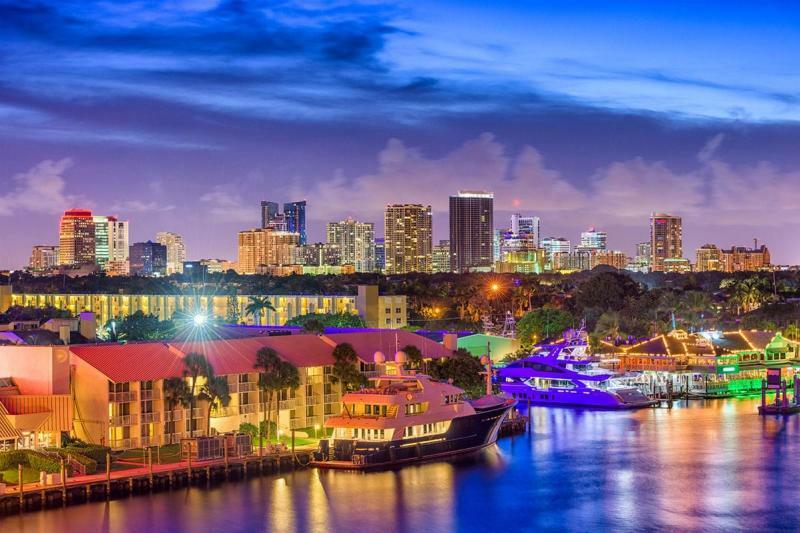 If you’re not ready to eat, lounge at the gorgeous New River or enjoy one of Fort Lauderdale’s art galleries instead. Tickets start at $79 per person for the basic tour. The NSU Art Museum: The crown jewel of Fort Lauderdale’s arts and entertainment district, the NSU Art Museum features of 25,000 square feet of exhibition space, a 256-seat auditorium, and the largest collection of post-World War II avant-garde art. Visitors can also explore the history of Latin American and Cuban art with its extensive collection of traditional and contemporary work. Admission is $12 for adults, $5 for students aged 13 to 17, and $8 for seniors. Butterfly World: Discover the sights and sounds of the world’s largest butterfly park, home to over 20,000 live butterflies from across the globe. Hand-feed the local wildlife, learn more about butterflies in the onsite butterfly museum, and enjoy a tour of the tiniest creatures in the Bug Zoo! The garden’s family friendly atmosphere includes a lovely view of waterfalls and the romantic botanical gardens. Admission for adults is $29.95, while children aged 3 to 11 can access for $26.95. Hollywood Ocean Broadwalk: While technically not a bar, this 2.2 mile-long pedestrian promenade offers a wide selection of bars and restaurants for the selective partygoer. Its gorgeous coastal view and reconstructed makes bar hopping a blast. While you’re out, stop at any one of their outdoor cafes or farmers markets to sample local fares or duck into its 30+ boutiques and shops for a new look. The Broward Center for Performing Arts: As one of the most visited theater in the world, the Broward Center presents more than 700 performances each year to over 600,000 patrons. You won’t even need to admire its view of the New River for a glimpse of beauty—that is, if you can even stand to miss one of its many musicals, operas, concerns, or ballets. Cash Only: Cash Only Bar combines the intimacy of a bar, sophistication of a lounge, and a nightclub atmosphere for a unique experiences. Each of Cash Only’s multiple rooms provide a distinct live music and entertainment experience with a rotating roster of DJs and live music performances for party goers of all interests and DJ’s for South Florida night goers of every stripe. Hard Rock Live: Like its famous namesake, East Fort Lauderdale’s Hard Rock Live is the state-of-the-art location for top name acts in music, comedy, sports, and rodeo events. Past features in its historical lineups have included names like Eric Clapton, Bon Jovi, The Who, Prince, and Fergie. BB&T Center: Home to the NHL’s Florida Panthers, the BB&T Center is a full entertainment venue with capacity for concerts, parties, seminars, and other non-sporting events. Looking for the perfect backdrop to shoot in? Travel further out to the Everglades or Sunrise City to grab the right shot on the Center’s outdoor tarmac. Culture Room: As the premiere concert venue for Fort Lauderdale’s alternative scene, Culture Room spins indie, punk, alternative and heavy metal tracks in between live performances from local and global rock acts. On less gloomier days, the club hosts 80s’ and 90s’ karaoke nights. YOLO: Though technically a restaurant, You Only Live Once (or, to the locals, “You’re On Las Olas) is every bit the socialite’s playground and late night affair. Meet up with friends during Happy Hour – you’re sure to find seating in this 300-seat venue – for a late night snack or enjoy a custom cocktail on the garden patio. The innermost O Lounge provides a welcome break from the dancefloor and the opportunity to sample some of YOLO’s tasty brunch selections. 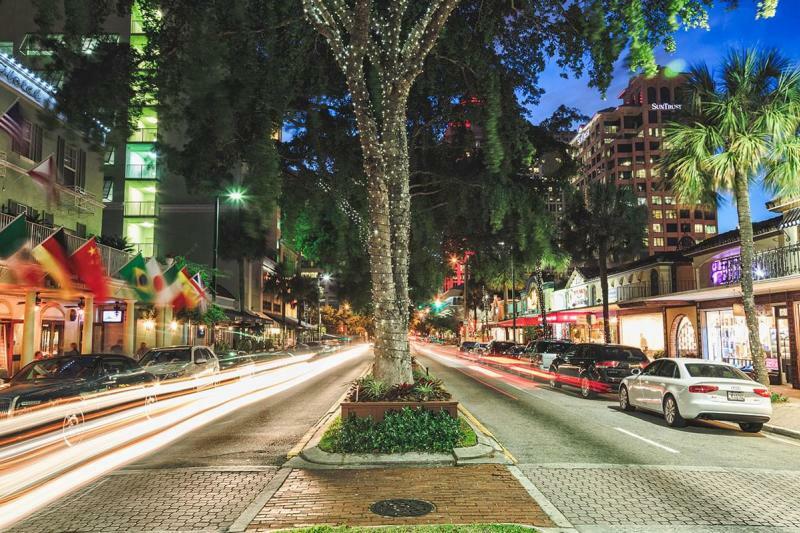 Las Olas Boulevard: The locals call it “shopper’s paradise.” After all, where else can you find such an eclectic collection of upscale stores? If you’re not in the shopping mood, stop by any one of the Boulevard’s sidewalk cafes, or window-shop its boutiques, galleries, and fashion houses before ending your day on the oceanfront. Festival Marketplace: This isn’t your regular flea market. At over a quarter-mile long with over 500 clothing and jewelry outlets, Festival Marketplace is the old-world shopping experience antique lovers will adore. When you’re ready to call it quits, stop by the Going Banana’s Farmers Market to choose from its fresh produce and seafood options. Swap Shop: This 180,000 square foot flea market also features the world’s largest drive-in movie theater with 14 screens. Over 12 million visitors across Canada and the United States trek to South Florida each year to experience the Swap Shop’s 88 acres of shopping centers around the clock. If you can manage to tear yourself away from the boutiques, stop by the onsite Cars Museum, movie theater, or one of many international restaurants for a quick bite. As East Fort Lauderdale continues to grow, so will its options for dining, shopping, and nightlife. Still, there’s already so much to love about its contributions to the Florida area, so don’t hesitate to get out there and explore as much as you can. No matter where you start, you know your adventure won’t end in East Fort Lauderdale, Florida!